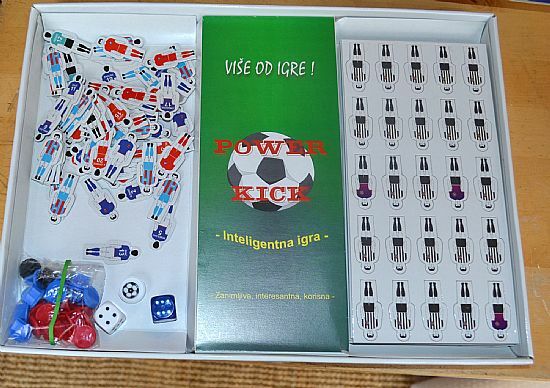 Fabulous game depicting the Yugoslavian league teams shortly before the relaignment of the Balkan countries. 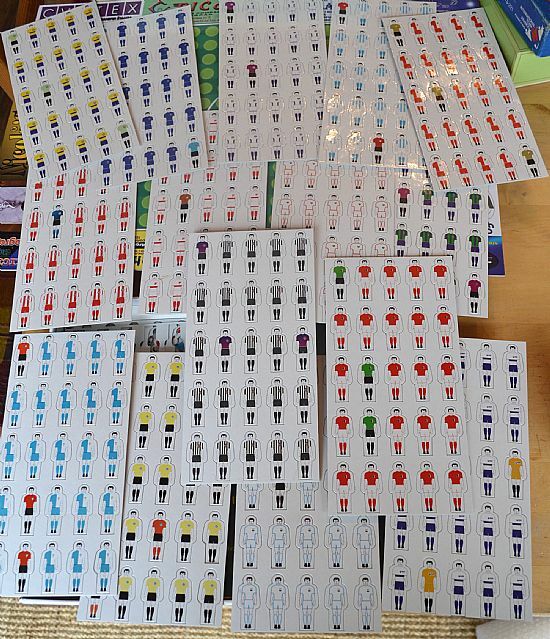 Every team has its own glossy press out player figures with numbers and shirt names - really lovely design and presentation, plus the rules are in English! 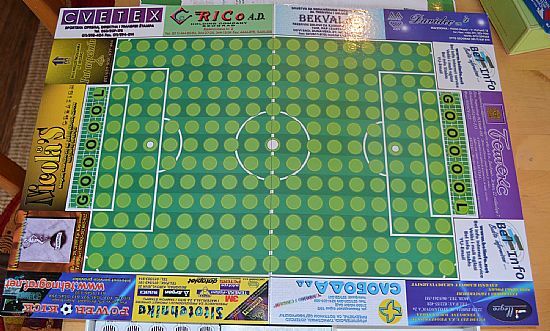 Thanks to Paul and Steve for providing this and other cracking football board games recently. 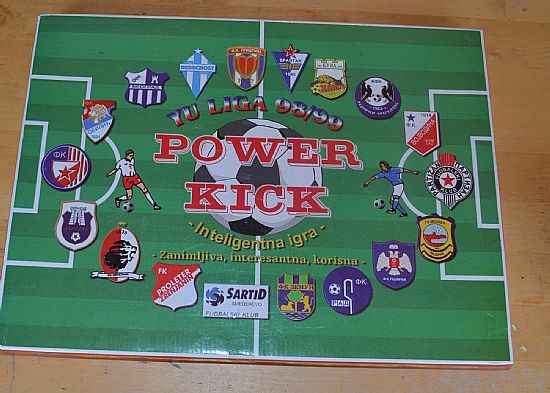 Superb game with club crests on the lid - how many Yugoslavian first division teams can you identify? 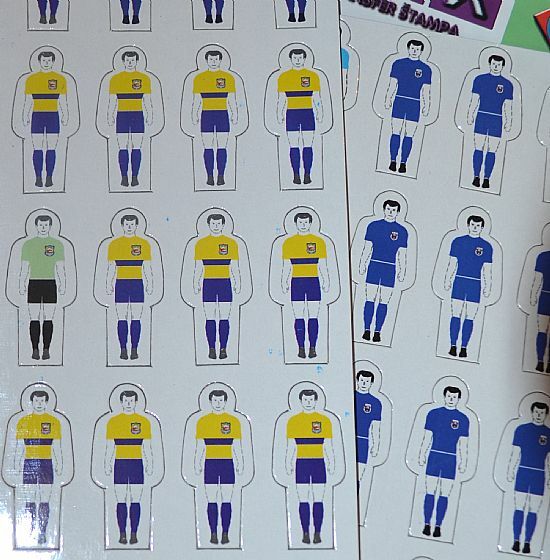 Really lovely printed 'press out' players for each team. 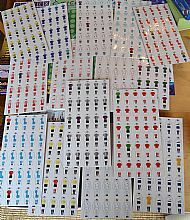 Ball, team sheets, player bases, dice and pitch. 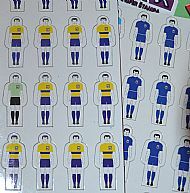 Really excellently presented team sheets - sadly a couple of players have popped out but most team sheets are complete.